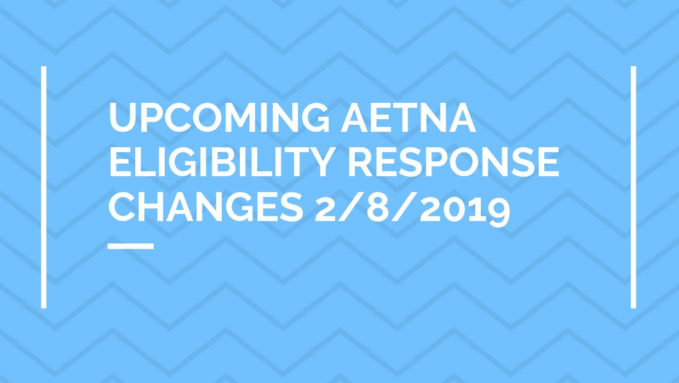 Aetna will be making the changes below to their eligibility response on February 8th. Pay particular attention to the first one. If your eligibility vendor hasn’t changed their system to stop allowing member ID searches without a DOB, you’ll get a DOB error. When we receive an eligibility request with only a member ID and without a date of birth, we’ll return an error code of AAA-58 (Invalid/missing DOB). We’ll apply this change to all member ID-only requests, including Health Rules Payer IDs, Social Security Numbers and Badge IDs. However, this change will not be applicable to HMO ID requests, such as those beginning with ME. When a user submits a family search, we’ll return the dependent’s effective and termination dates.